Homebuyers in Toronto and Vancouver, you can start taking your time buying a home. You're no longer living in the country's most competitive housing markets. 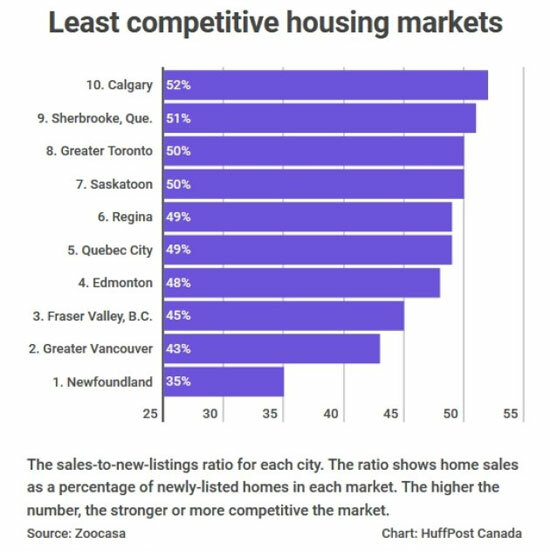 In fact, according to a new analysis from real estate site Zoocasa, the home sales slump in those two cities has made them among the less competitive housing markets in Canada. The Zoocasa analysis highlights just how much things have changed over the past few years, since the B.C. and Ontario governments introduced foreign buyers' taxes on properties, Canada's banking regulator tightened mortgage lending rules, and mortgage rates began to rise. 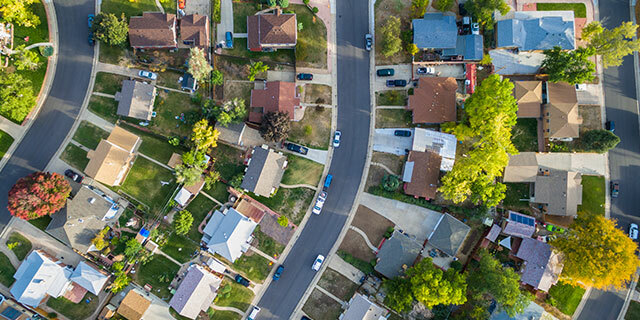 Using July data from the Canadian Real Estate Association, Zoocasa measured how competitive Canada's housing markets are by calculating their sales-to-listings ratios. This measure looks at how many homes sold in a market over a period of time, compared to how many new homes were listed for sale. The higher the ratio, the stronger or more competitive the housing market. With just 43 sales for every 100 new homes listed, Greater Vancouver is the country's second-weakest housing market. Toronto is eighth-weakest, with 50 sales for every 100 new listings. 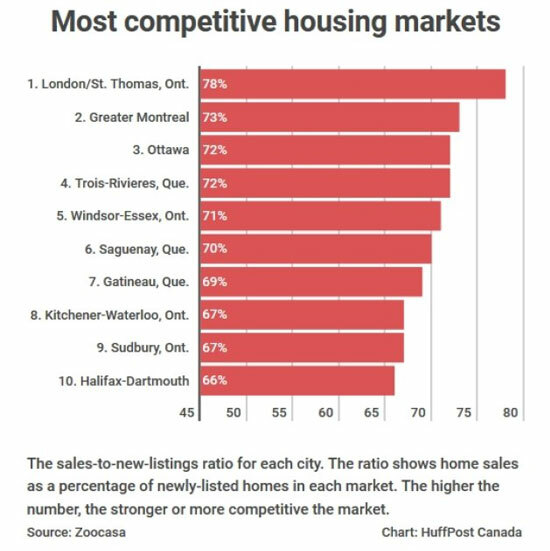 Meanwhile, Montreal and Ottawa have rocketed to near the top of the list, thanks to rapidly rising home sales. Interestingly, a few cities near Toronto placed well on this list, suggesting that Toronto's high house prices have prompted buyers to shift their attention to nearby communities. The sudden strength of the Montreal and Ottawa markets may have to do in part with the foreign buyers' taxes introduced in the Toronto and Vancouver regions. Realtors have reported a spike in interest from foreign buyers since those taxes came into effect. Spurred by strong job markets, both Montreal and Ottawa are now reportedly seeing bidding wars for homes. July home sales spiked 6 per cent from a year earlier in Ottawa, while Montreal reported its strongest July for home sales in eight years. But prices are a different story, with the Toronto and Vancouver areas remaining the priciest markets. A median single-family home in Greater Montreal will run you $336,000, while a "residential class" property in Ottawa goes for $441,000 on average these days. Compare that to the $1.6-million benchmark price for a detached property in Vancouver, or the $1-million average price in Toronto. Economists say house prices are experiencing "stickiness" in these expensive markets, because despite the new mortgage rules and higher mortgage rates, the economy is doing well and many people have money for large down payments. But it may be that homebuyers simply haven't gotten the memo about the slowdown. In Toronto, for instance, sales of newly-built condominiums collapsed by 52 per cent in July, compared to the same month a year earlier, according to data released this week by the Building Industry and Land Development Association (BILD). But prices for sold units were 16.5 per cent higher than a year ago, suggesting buyers may still be in competition mode. All the same, the sales slump in some Canadian housing markets may not last. A new report from TD Bank this week noted that nationwide sales have started to stabilize after a major decline in the first half of the year. 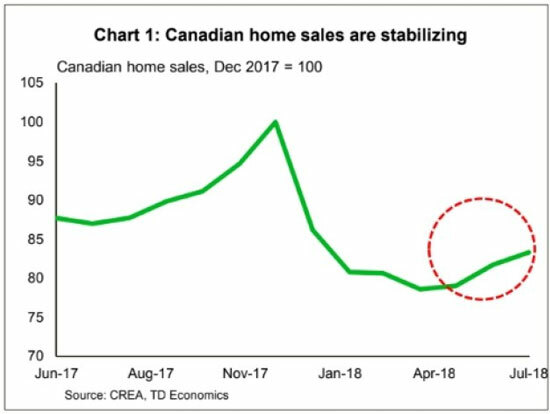 But TD Bank economists Derek Burleton and Rishi Sondhi cautioned that the stabilization "should not be interpreted as the start of another strong rally." That's because mortgage rates are expected to continue rising in the months ahead, ballooning homebuyers' monthly payments. "The level of sales for the whole of 2018 won't be able to recover what has been lost in most markets," Burleton and Sondhi concluded.